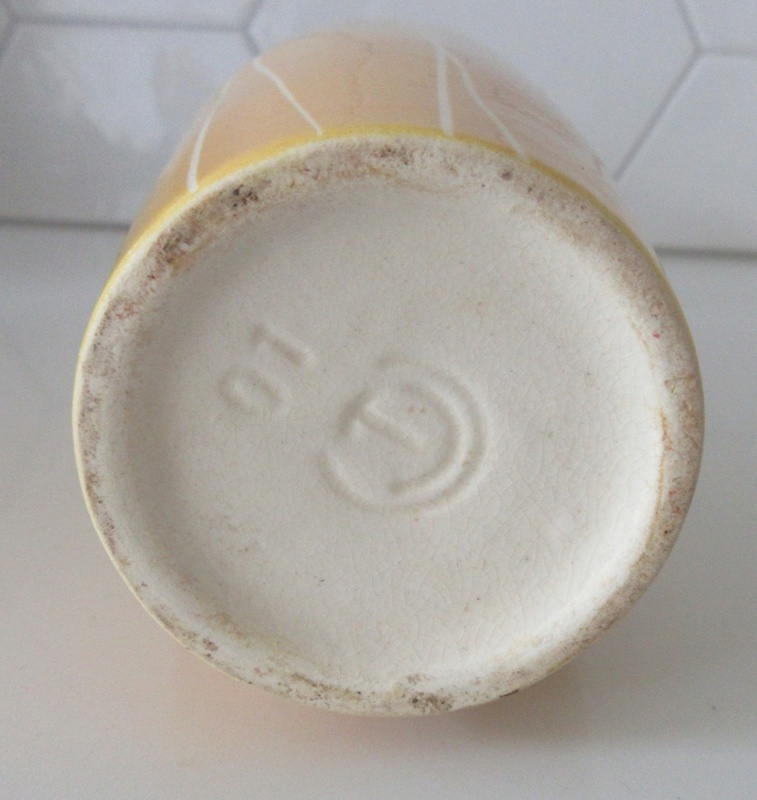 Does anyone recognizes the impressed blindmark on this lovely yellow and white linear decorated sixties vase? It looks like a T and half a cirkle and three quarter of a circle. I quiet sure it's in North-western Europe. It could be made in Germany, Danmark, Sweden, France or the UK. I doubt it's Dutch made. Thanks in advance for all the helpful information.